Hi, would it be too hard to make your addons compatible with 0980? So you don’t quote the good people because is tRetro-Visor said the sentence, otherwise I don’t know how to convert from 0.9.8.0e to 0.9.8.0 so maybe the author or a other modder can answer to this question. Sorry I meant to quote him. Yes. It means doing the systems again because certain scripts have to be rewritten. But you might as well get the patch. Because I have some rather serious graphic issues with 0980e. Clementine: Hot terra. Shallow acid lakes. Orbit has changed through the ages due to orbital drag caused by Prune. Apricot: Warm terra. Planetary twin of Strawberry that hasn't lost its oceans. Oxidized surface give the planet an orange/red hue, which gave the planet its name. Strawberry: Cold desert. Literally a red planet. Mars-like desert. Red colored surface, with traces of rivers channels that have long been lost. Ventra-5 g I: Cold Selena. Also know as Strawberry II, its a small, cratered moon of Strawberry. Shares Strawberry's red hue, with patches of yellow. Isaac: Cold mini-terra. Isaac suffers huge tidal forces by Desmond, which causes its south polar region to melt its ice caps due to heavy tectonic activity. Moon of Desmond. Hemkova: Cold terra with life. Hemkova also has tidal heating, which caused its oceans to slowly evaporate. All that remains are shallow "pink" salty lakes that harbor unicellular lifeforms. Moon of Desmond. Avocado: Temperate Terra with life. Green colored terra, covered in grass and small lakes across its surface. The pressure of its atmosphere has caused lifeforms to develop means of gliding all over it. Moon of Desmond. Prune: Warm ice giant. Purple colored clouds. 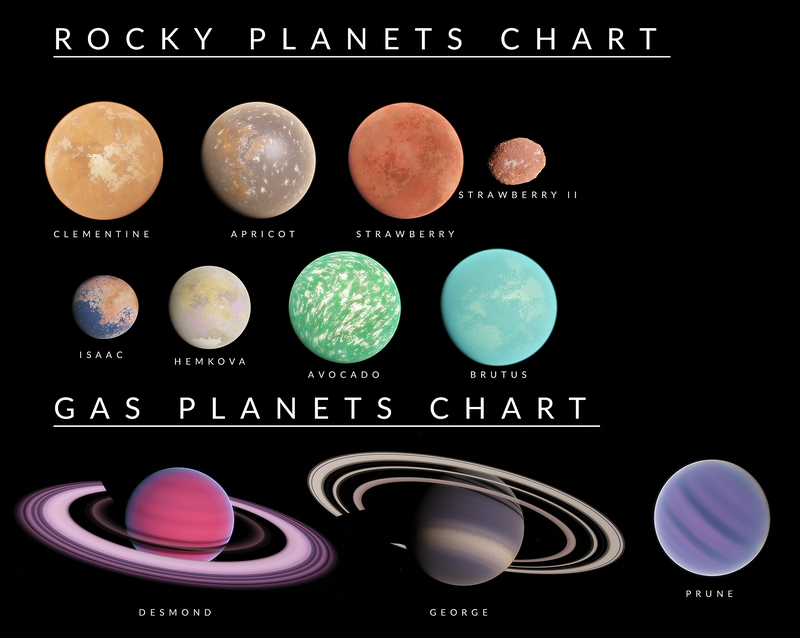 Prune is one of the first planets formed, and worked its way closer to its star, causing all the rocky planets to be filled with different materials. Currently, it disturbs the orbit of Clementine, drawing it closer to its parent star. 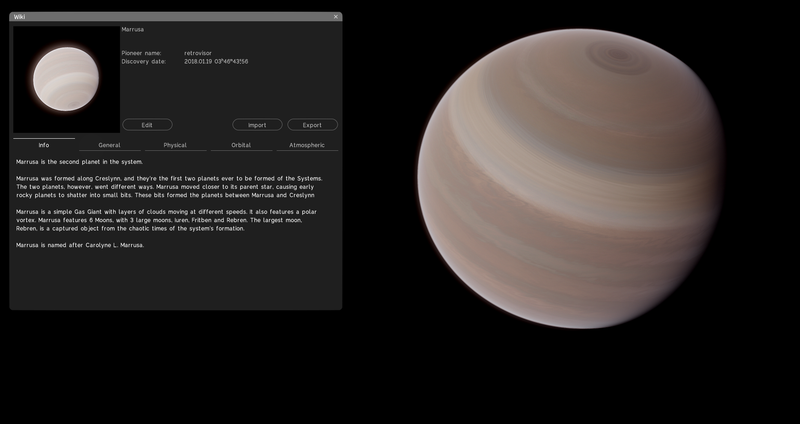 Desmond: Cold gas giant. Distinctive red colored clouds. There's no explanation for the color of its clouds. Bright pinkish colored ring system, caused by ice particles and red colored organic material. George: Cold ice giant. Distinctive white storm in the southern hemisphere that switches places based on the position of the ring shadows. I have made the first four addons of tRetro-Visor compatible with SE 0.980. (TTA-17, JAMES-X1, CYPHON and Proxima b). I have packed them together in one .pak file. It's easy. Only the expression 'Precession 0' needs to be removed from the files. There is a small bug in your 'Ventra-5Sys.sc' file. Line 274 is missing a parenthesis at the end of the line. But I do not know if this error has any effect. SE 0.980 does not work with the expression 'Precession 0'. Probably this expression produces something like 'Division by zero'. 'Precession 0' would mean that the precession is infinitely fast. In SE 0.980e (and later) the precession is probably switched off when the value is 0. This may be a problem that exists only in SE 0.980. In SE 0.971 (the version with which I am currently mainly working) the problem does not seem to exist. I just copy-pasted the randomly generated values in the corresponding catalog\star\*.sc files so the console message disappear. I don't know if these are the intended locations of these systems in the galaxy though. Last edited by N0B0DY on 18 Oct 2017 21:32, edited 2 times in total. This is because the two scripts 'Cyphon TAU-28.sc' and 'James-X1.sc' are actually in the wrong folder. They belong in the 'addons\catalogs\planets' folder. This one is by far the most complex one I've made. Took me almost a month. Any way to add accretion disk around younger stars similar in ways to planet rings? Stuff a planet into a star maybe? 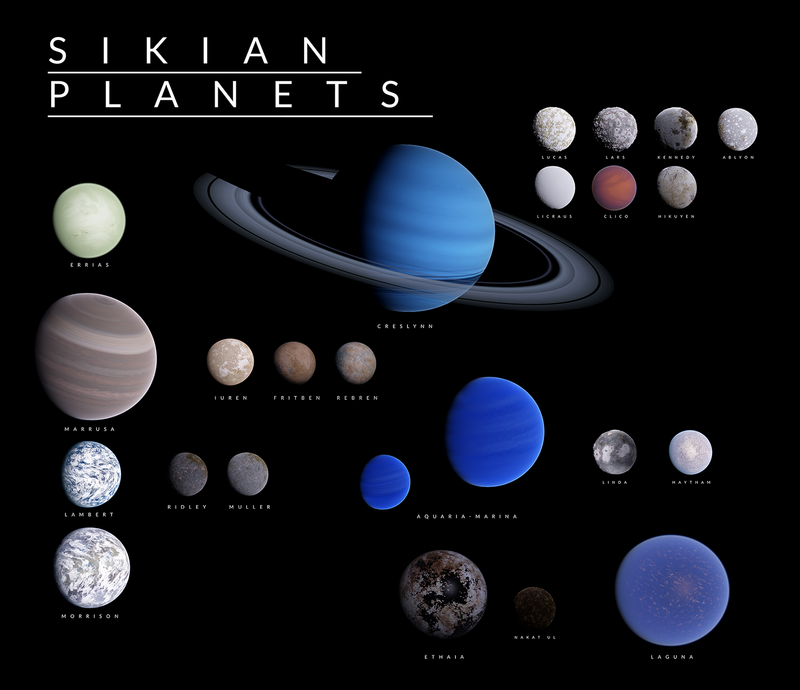 Very beautiful planetary systems! Great job the story and explanations spot on as well! 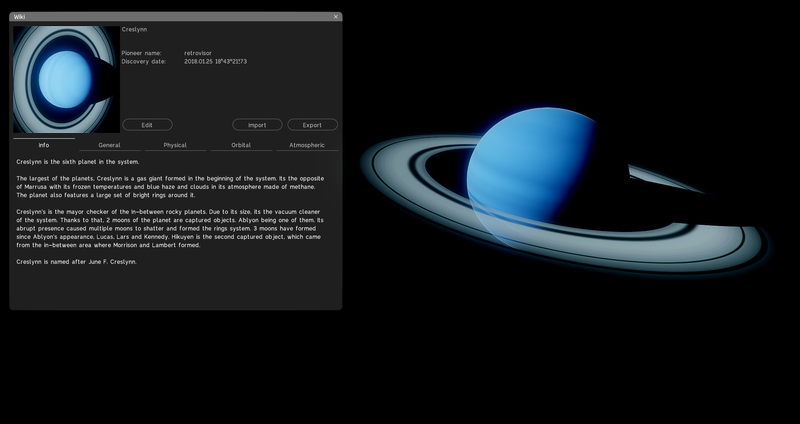 Object descriptions for my Custom Systems will use this new method. As it can't be ported as an addon, what you have to do is copy and paste the text in the user-eng-db - Sikian.cfg file to your user-eng-db.cfg file in the config folder. Have fun reading!